The Green Girl's intention was to get in a 12 mile run on The Strand after work last night. I missed my long run over the weekend and well, you know what they say about the best laid plans. I had hoped to leave the office early but time sensitive issues came up. I didn't have a chance to eat lunch. I'm a snacker so I did manage to have some sunflower seeds, carrot and celery sticks with ranch dressing, an apple, and an orange during the course of the day. 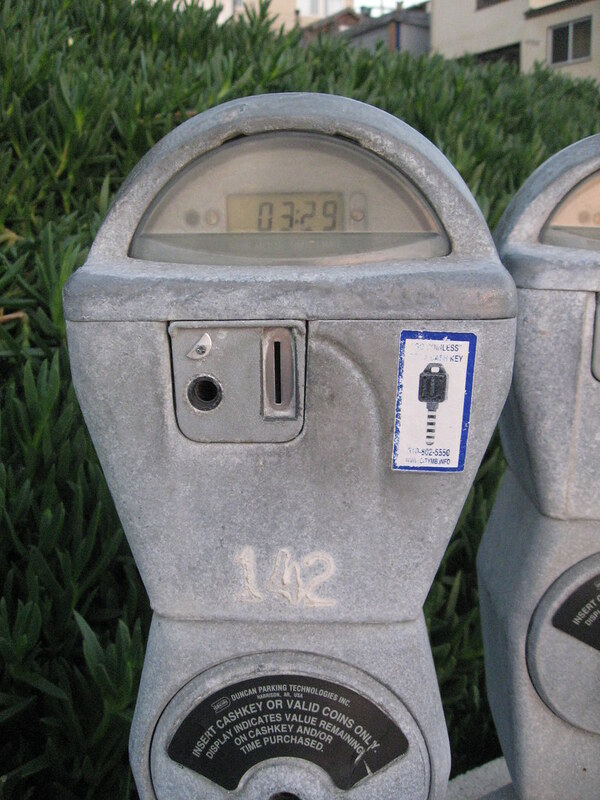 When I arrived at The Strand, I was relieved to see the meters had a five hour limit and I inserted more coins then I've ever used on one of those devices before. As soon as I started running, pangs of hunger hit me. I devoured an apple sauce and sipped on my sports drink to quiet my stomach. My legs felt great but I could feel the tension in my neck and shoulders so I focused on some deep breathing. I gazed into the sunset and tried to relax. 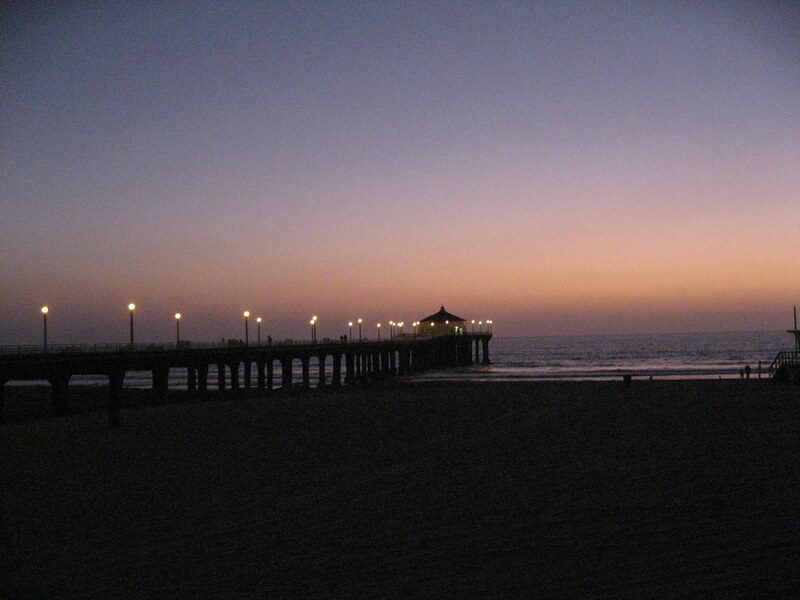 Darkness had fallen by the time I reached the Hermosa Beach Pier. 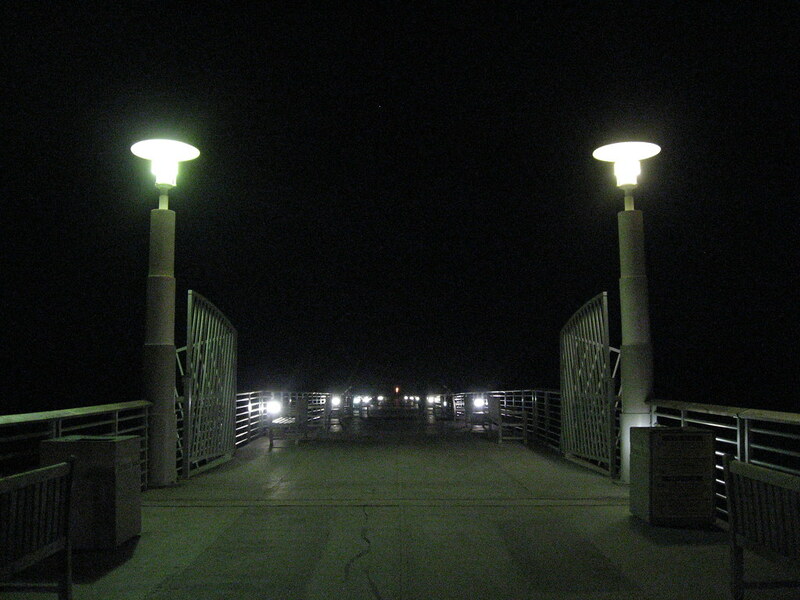 It was so peaceful running alongside the ocean at night. Instead of going further, I opted to turn around at the 5 mile point since I figured I could just do an extra mile loop at the end to get me to my desired 12. Unfortunately, I fell apart around mile 9. The sips of sports drink were no longer quelling the starvation cramps in my stomach. The thought of trying to ingest sports nutrition made me feel nauseous so I skipped the bars and kept running. Interestingly enough, my body felt great and I know I could have run further than 12 miles had my stomach not been protesting so loudly. I finally had to give in and cut the run short at around 10.5 miles. I hit a drive-thru on my way home and got some soda to settle my stomach and a couple of cheeseburgers. After a nice, hot shower, I ate until my stomach stopped hurting. Lesson learned, this will not be repeated. Good lesson - you're a runner who needs to fuel up before heading out. Or maybe carry heavier duty snacks on long runs. At least you got 10.5 in !! Great job! it is so hard to run when the tank is empty! ugh, I hate runniing out of energy due to lack of fuel. And the recovery meal gets stupid. you just scarff. Good for you on the push though. Lesson we learn. are what make us better. It's SO hard to concentrate on a workout when you are bonking for food!I think you did a great job of sticking it out for more than 10. Awwww. I've been there....so hard to concentrate on running when that happens! You put in a great effort though!!! Well, I wish you could have gotten in the full run, but sometimes lessons learned are just as good! I can relate - I've had a lot of trouble getting enough fuel lately. Be careful ... great job on the 10.5!!!! I hate that painful feeling of being hungry. I think I would do well to fuel better before a run. I can sooo relate. I have such a routine when it comes to food and when I deviate, things turn haywire. Beautiful pictures. 10.5 miles is a great distance, even greater to do after work. I can't even imagine. I do all my running in the morning. ps. I carry a gu for every half hour I plan to run (if I'm going to run over an hour). My garmin is set to beep every 30 min. to remind me. This is one of my typical long training run mistakes. I've learned to pack a Clif bar "just in case". Sooo pretty!! 10 and a half miles is totally awesome and plus you were starving!! oh, i hate having hunger pangs during a run! i keep gels on me even for my short runs in case they hit and i need something. Ugg, I HATE it when I am hungry during a run. I can't eat before/during runs so I just have to stomach it. Bleh!